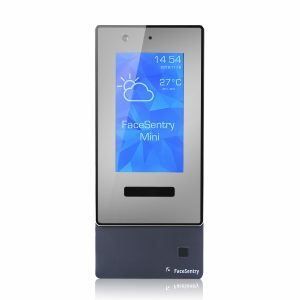 FaceSentry Mini is the smallest addition to the line of FaceSentry appliance. Mini a revolutionary smart identity management appliance that offers entry via biometric face identification, contactless smart card, staff ID, or QR-code. The QR-code upgrade allows you to share an eKey with guests while you’re away from your Office and monitor all activity via the web administration tool. 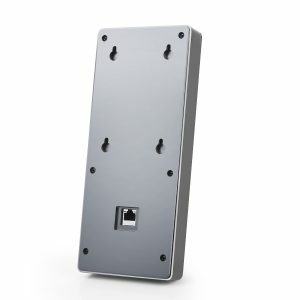 Powered by standard PoE (Power over Ethernet), FaceSentry(TM) Mini can be installed in minutes with only 6 screws. 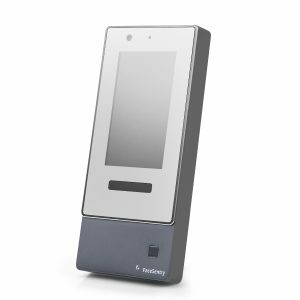 FaceSentry Mini is a true enterprise grade access control or time-and-attendance appliance which smaller size does matter. Micro Controller comes in smaller footprint enclosure and lower price tag, but door relay (dry contact) is still standard feature. Improved LED illumination light to enhance image quality further. The user profile is retrieved only when verification is needed and after smart card/ID/QR-code was received by the panel. All connections are AES encrypted. 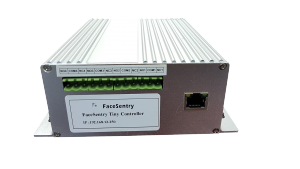 FaceSentry Mini have Wiegand Input (only in Standard Controller), Wiegand Output, 2 groups of relay blocks with full programmability, and GPIO ports. We have the experience to use these connectors to link with customer’s existing security peripherals in a creative way. Most of the All-In-One low cost face recognition access control device is single-processing. Data synchronization is not possible during the day because of verification process preempts all the processing power of the device. Data synchronization, such as new staff, staff information change, deletion of staff, can be done while the verification task is paused completely. Enrolment can be at FaceSentry device at HR or Security Department, and template of a new enrollee shall be synchronized to all slaves under the coordination of Master device.